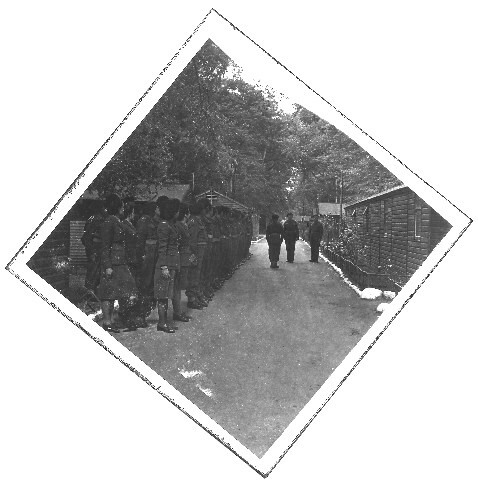 Thank you Harry for pointing me to the photo of the Polish camp. It brought back many memories least not carving my initials in one of the trees. I spent many a summer in the woods round there, and many winters with my brothers gathering wood with the old pram. Oh happy days !!! The water tank was one of the last remaining remnants of the Polish camp - it was certainly still there in the early 60s. I notice in this picture that there are female troops on parade. I wonder if this was WRNS. There was a building on the upper West side of the High Street known as the "Wrenerey". I believe it was accommodation for Wrens who were stationed at Inverg during the war. The females in the picture are Polish women - members of the Polish army stationed in Invergordon..nothing to do with the WRNS!! !